The church was built in 1874, when it was known as Christ Church, Singlegate, and, despite severe damage during the Second World War, still stands as a prominent pillar of the local Christian community. It is a locally listed building and is designed in a modest but rural Gothic style by Messrs F and H Francis. The church was built using load-bearing yellow London stock bricks and Bath stone. The church building was consecrated on Ascension Day, 14 May 1874. 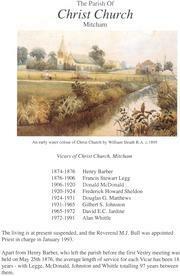 In 1875 the District Chapelry of Christ Church, Mitcham, was created, and this became a parish some time between 1875 and 1914. It was not until recent years that the name of the parish was changed to Christ Church, Colliers Wood, to reflect changes in population. Christ Church has strong links with St John’s Church, High Path, SW19. Both are now part of the Merton Abbey Team Ministry along with Holy Trinity, South Wimbledon, SW19. 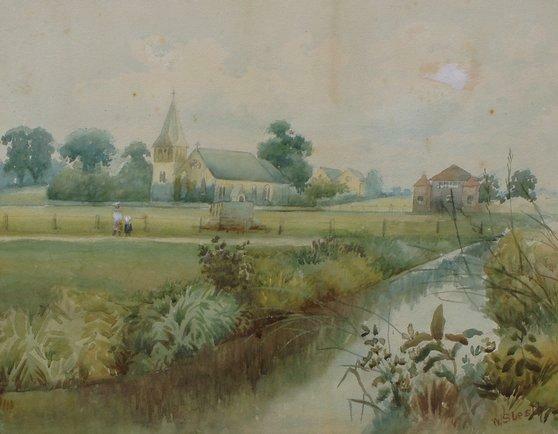 Watercolour painted by William Sleath R.A. in about 1895, showing the church in its original, rural, setting surrounded by meadows. 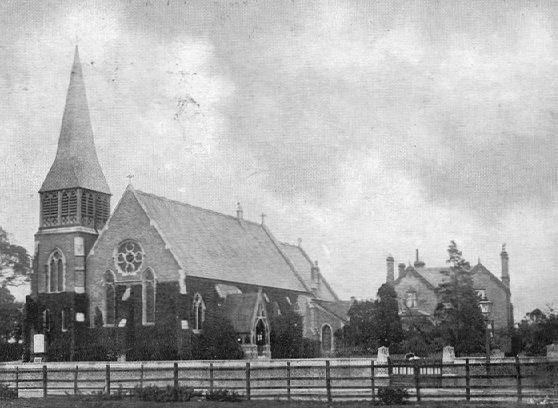 Postcard of Christ Church from about 1905. Image kindly supplied by Steve Bulman.